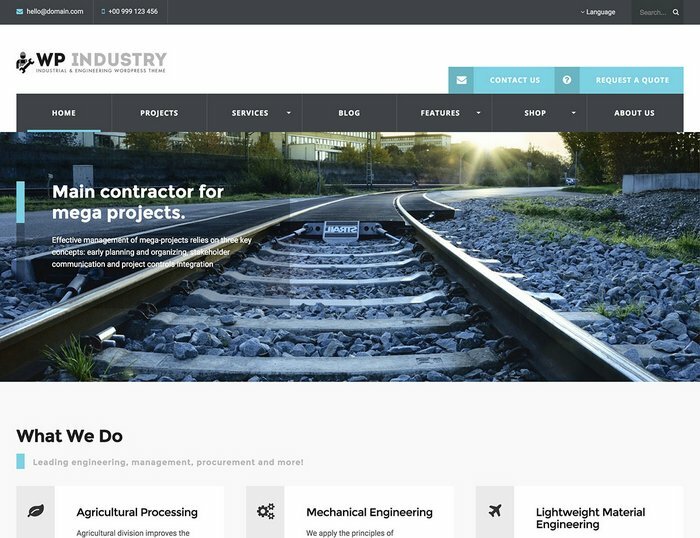 This is a collection of industrial WordPress themes for your industrial business site. 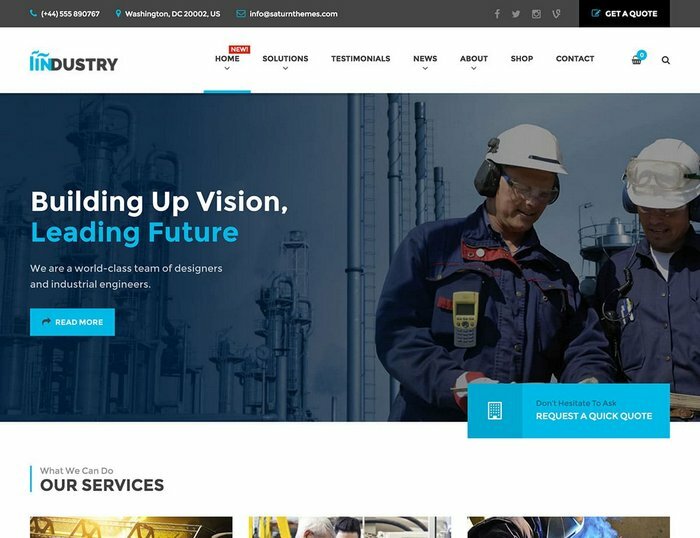 These industrial services and products themes will help you build a professional website online as quickly as possible. Let’s check some of the best industry WordPress themes and features these templates offers to you. 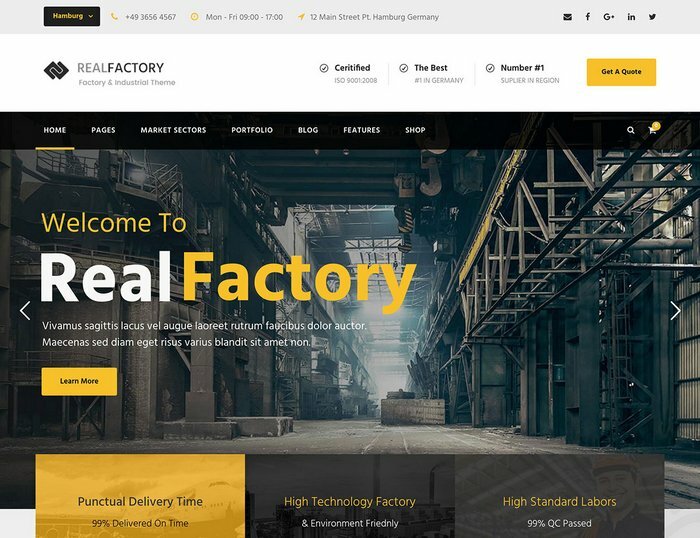 Real Factory is a perfect WordPress theme for Factory, Industrial, Construction, Commodity Business, Power, Rail Business, Airplane, Ship Business, Oil & Gas Business, Pretorium website. It is super flexible with tons of great features such as background wrapper options, custom skin color for specific item wrapper, three view modes(live, preview, block), ajax page builder saving, pre built pages and blocks and much more. 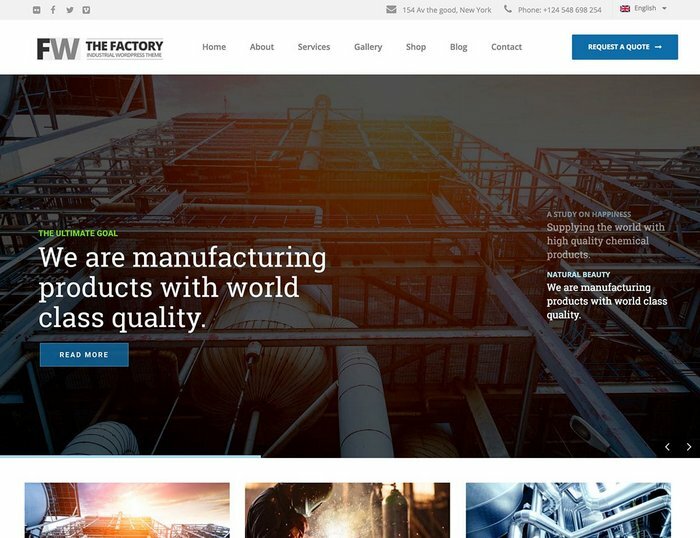 Factory is an industrial business WordPress theme. 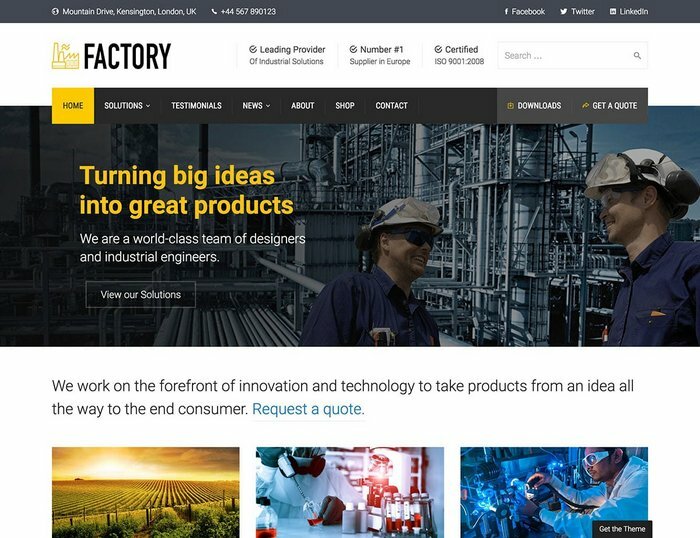 Mega Factory is a new professional WordPress theme for manufacturing company websites. It bundled Visual Composer, Revolution slider, WooCommerce support and advanced admin panel. 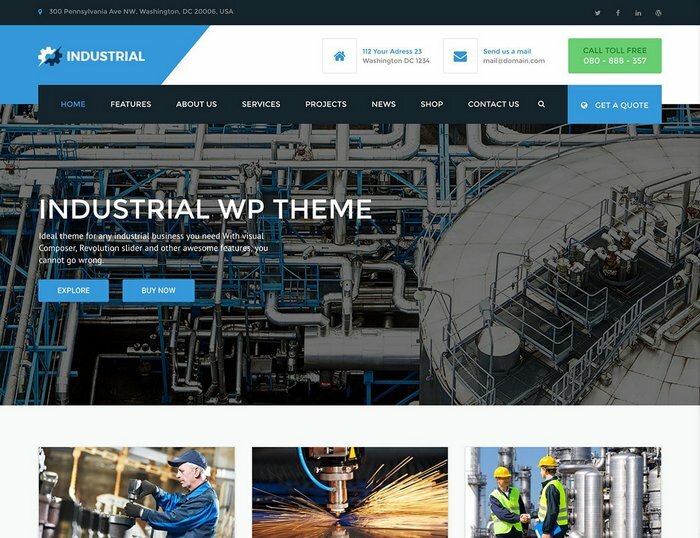 Industrial is a WordPress business theme. It is focused on building websites in the Industrial, manufacturing, factory company niches. It includes Visual Composer, Revolution slider, WooCommerce support and advanced admin panel. 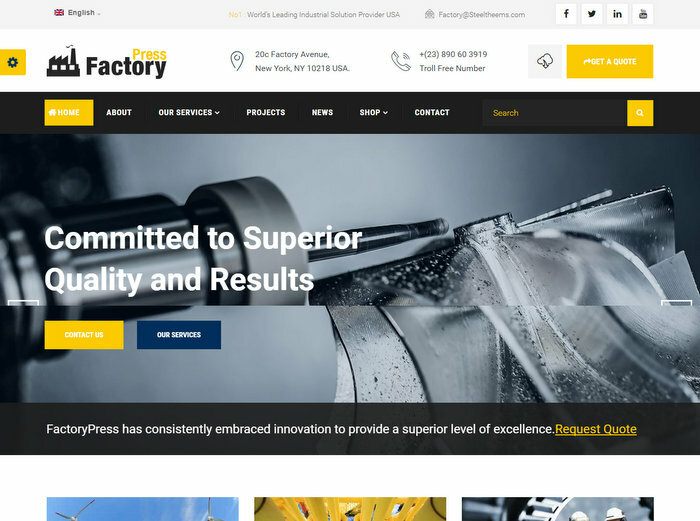 FactoryPress is an industrial WP theme developed specifically for all types of industry, technique, engineering or machinery businesses. 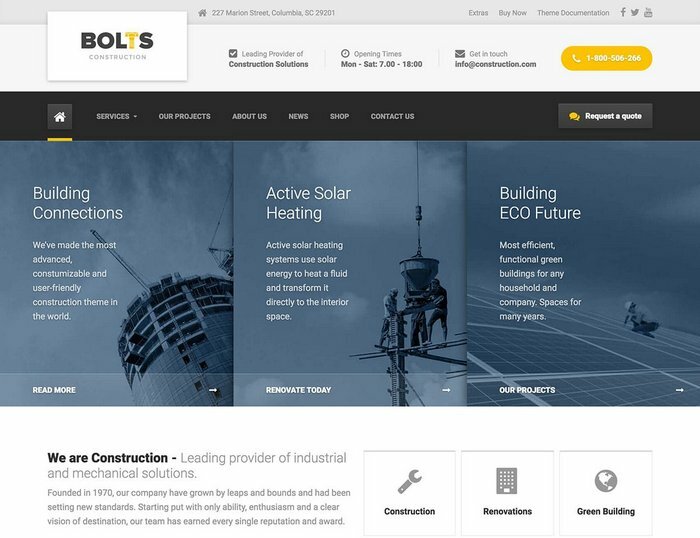 Bolts is a new highly customizable WordPress theme perfect for construction, transport, factory, industry and all other similar business. Industry is the theme which has multiple usages since you can use it for your industry, company or factory. It has a nice modern design with the native way of working with WordPress so creation of content is not a mystery. 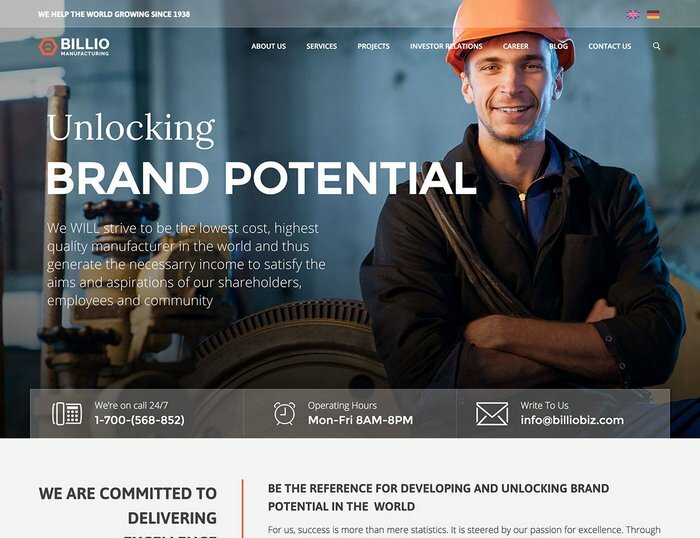 Billio is a company niche WordPress theme designed for companies who specialize in manufacturing, heavy equipment, construction, and spare parts sales. These are in ONE package for the price of the steak. 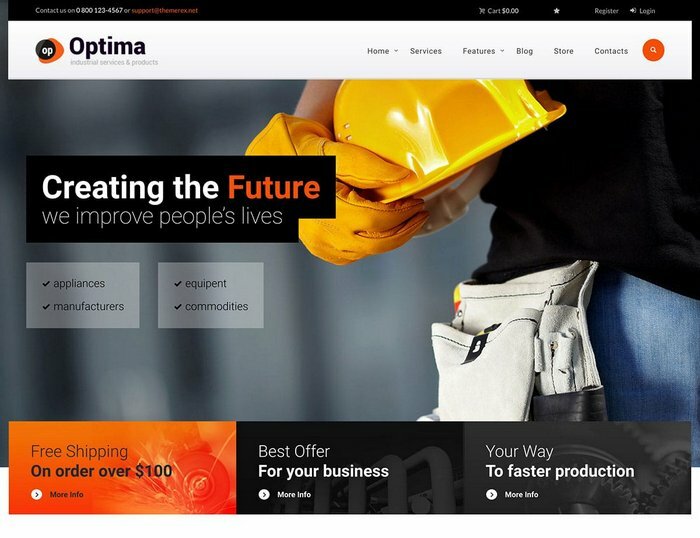 Optima is making an attempt to take your industrial company to the next level. 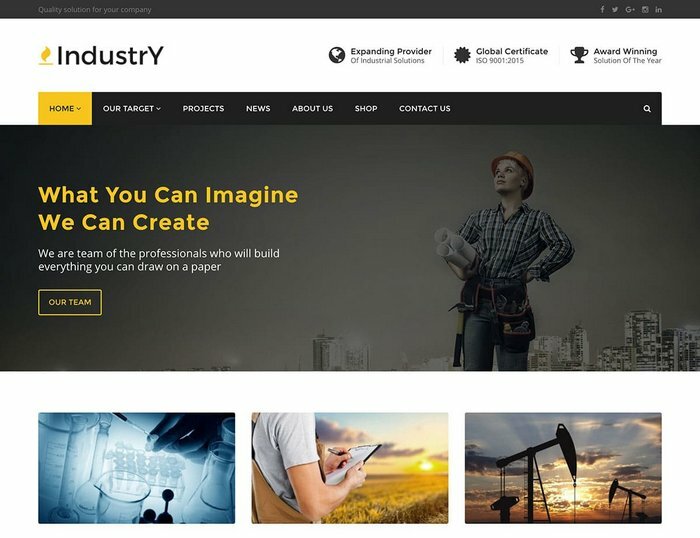 If you own any kind of manufacturing, developing, engineering, or construction company, this premium WordPress theme is right for you. This industrial template comes with necessary features for your online presence like projects, blog, testimonial and team page etc. Theme is extremely flexible and includes drag&drop page builder that allows you to create unlimited layouts with unlimited color settings. WP Industry is an elegant, modern and easy-to-use flexible, modular and responsive layout. It includes lots of features like Drag & Drop page builder, unique page builder blocks etc. 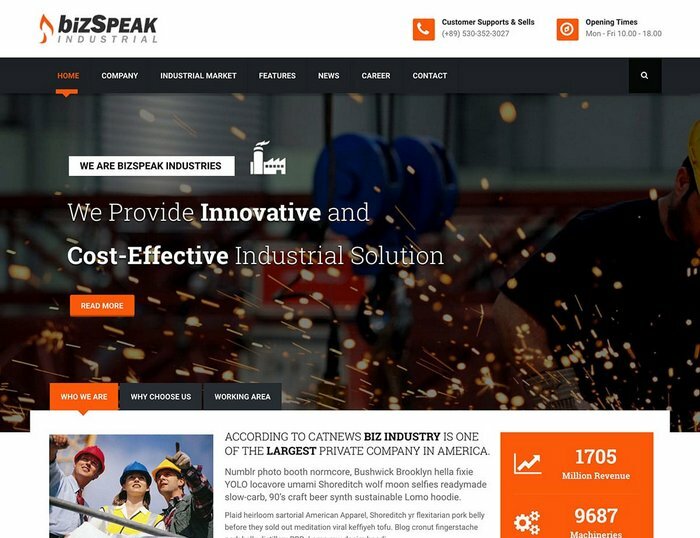 BizSpeak is a clean functional and professional WordPress theme that is specially designed for industrial and business websites. It is very content rich and tells the visitors everything they need to know about your company.